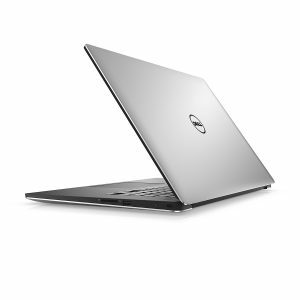 Dell XPS9560-7001SLV-PUS is a very modern and high-quality laptop with a 4K Ultra HD 15.6 inch InfinityEdge touch display and the GTX 1050 graphics card. It comes with some high-end specs and features including an impressive seventh generation Intel i7-7700HQ quad-core processor (6MB cache) at 2.8GHz up to 3.8GHz speed with turbo boost, large 16GB DDR4 memory at 2400MHz speed for all the multitasking anyone can need, a very large and snappy 512GB M.2 form factor Solid State Drive and the 64-bit English Windows 10 operating system. The i7 processor has the Passmark benchmark score of 8943 which is equal to the power of a desktop CPU offering very high-performance levels and supports memory size up to 32GB so you can add another 16GB if needed. 512GB SSD offers plenty of speed and performance and there is a 2.5-inch slot available if you wish to install a large mechanical hard drive for additional storage space. There is no Optical Drive and no Ethernet RJ-45 connector so you will rely on external DVD Drive and a USB dongle for RJ-45. But you have the 802.11ac wireless, Bluetooth 4.1, two USB 3.0 ports, a USB Type-C that supports Thunderbolt 3, DisplayPort 1.2 and USB 3.1 and an HDMI 1.4 output for connecting to external monitors. 15.6-inch Gorilla Glass ultra-sharp 4K UHD touchscreen with very thin bezels has the 3840 x 2160 pixel resolution, which equals to four times the pixels available on a Full HD screen. And this is a Gorilla Glass touch display with IPS panel so you can enjoy the viewing angles up to 178 degrees but there is no tablet functionality here. The webcam is located at the bottom, simply because of the size of the bezels. The GeForce GTX 1050 is an advanced graphics card with a Passmark benchmark score of 4736 and a 4GB dedicated memory and you can play many modern games comfortably at FHD resolution and high frame rates per second. You can expect around 6-7 hours of battery life with the large 6-cell 97 Whr lithium ion battery. Silver Dell XPS9560 weighs only 3.9 pounds and measures 9.3 x 14.1 x 0.66 inches, which means it will fit in pretty much any backpack easily. It has a slim chassis and looks premium and super modern like a 2017 model expensive portable laptop should be. The 15.6-inch screen is pretty large but having the InfinityEdge feature the bezels are very thin and it is actually more compact and lighter than a typical 15-inch machine with a UHD touch display. The keyboard is backlit but doesn’t have the best feel and unlike other 15.6 inch machines, this does not include a 10-key numeric pad on the side, due to its compact size having an Infinity display but has a decent responsive trackpad. There are plenty of budget computer models on the market with Windows, MacOS, and Chrome operating systems and getting one for day-to-day tasks does not often require a lot of thought. 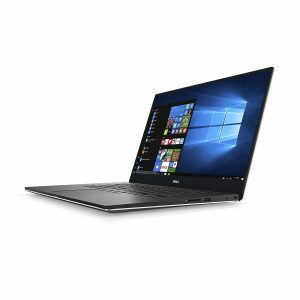 But when it comes to buying an expensive laptop like this Dell XPS, you want to make sure you’re making the right decision. It certainly offers quite a bit for your money and on paper- seems to offer almost the best of everything, from the power of CPU to the RAM and hard drive size and speed to the superior quality of its touch display. And Dell is undoubtedly one of the best computer manufacturers out there. This is quite an expensive machine with all the bells and whistles and you’re getting quite a lot for your money.